Drunk driving is a serious offense that one out of every 135 people across the nation will face each year. Being arrested for driving while under the influence of alcohol or drugs in Arizona can be frightening, leaving you afraid for the future and confused as to your legal rights. From the moment you are placed in handcuffs, a DUI arrest seems to develop into a nightmare from which you cannot escape. The good news is, however, legal help is available to assist you through this difficult time and towards a positive legal outcome. With experienced and effective representation, you can stay out of jail, keep your driver’s license, and avoid many costly fines and fees. The Phoenix criminal defense attorneys at Ariano & Associates, PLLC offer experienced and aggressive defense against DUI and drunk driving charges. We recognize that Arizona’s drunk driving penalties are among the most severe in the nation. As such, we devote all our time and energy into defending our clients facing DUI charges. At Ariano & Associates, PLLC, you will always speak directly to a top rated criminal defense attorney. We are available 24 hours a day, seven days a week to assist in your DUI matter. Arizona punishes under the influence drivers severely. If you are convicted of a DUI in Arizona, you will serve at least 24 hours in jail. You should also expect substantial fines and the loss of your driver’s license for a period of time. A DUI conviction will also appear on your criminal record, potentially impacting your employment, education, and more. 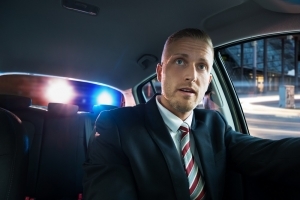 These serious repercussions make it critical for anyone charged with this offense to retain the assistance of an experienced DUI defense attorney. The penalties for DUI will increase with subsequent convictions. Those convicted of DUI twice in seven years will face up to 90 days in prison, and an ever increasing amount in fines. Anyone facing a DUI charge will require experienced legal assistance. This serious crime could have long lasting consequences on your future, but with the proper representation, you can successfully mount a strong defense against DUI charges. If you have been charged with the serious crime of DUI in Arizona, the Casa Grande Criminal Defense Lawyers at Ariano & Associates, PLLC can help. Our award winning criminal defense attorneys will strive to obtain the best legal outcome for all clients charged with a DUI-related offense. When you call Ariano & Associates, PLLC, you will always be connected directly to one of our experienced attorney staff.